5 Tips to Help You Perfect Your SELF SHOT Family Photo! 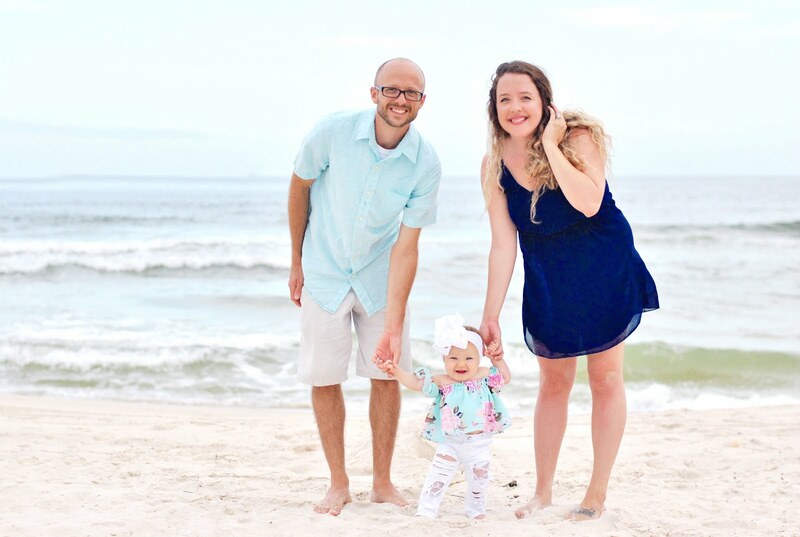 Taking a family photo can be a daunting task, from avoiding a double chin, to the one family member that excessively blinks, to a baby that wants to be fed at the exact time your shoot is scheduled, getting a family portrait perfect isn't always easy! This year I feel like we kinda have mastered the whole deal though. Even with a few funny outtakes, everything went smoothly and we were able to get some gorgeous photos of my Daughter. 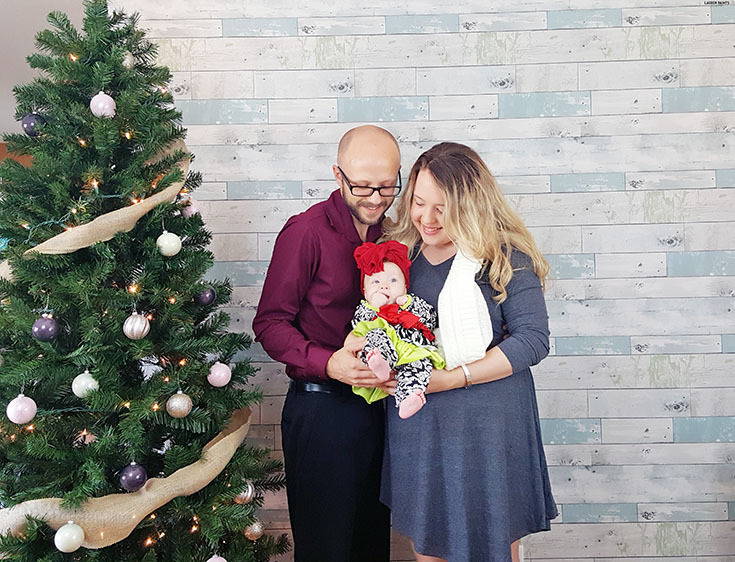 If you're planning a holiday shoot soon, I highly suggest you check these 5 tips out to help you and your family perfect your photo this year! 1. Make sure everyone is fed - Making sure we all have a good meal just before the shoot is important... we don't want any "hangry" episodes. I've shared before that Delainey is exclusively breast-fed, but that doesn't mean that I don't pump and share the task of feeding on occasion. The morning before our photoshoot was definitely one of these occasions, we made sure Delainey got a good full feed in with Philips Avent Anti-colic bottles. These cool bottles are perfect for my babe. Many people have trouble finding a bottle their baby accepts, but luckily we never had that problem. These were one of the first bottles we tried, actually, and she's always excited when she gets to have a meal from her Avent bottle! She's not the only one that enjoys feeds with an Avent bottle though, we love it when she feeds from these too! Mainly because they do exactly as they say and reduce gas, making all of our lives easier! We also love that these bottles are easy to assemble and clean, making for a quick feed no matter what the occasion! While we've never had to deal with colic (*knock on wood*), many families do. Luckily, these bottles and their amazing vented system help reduce colic and studies have shown babies fed with Philips Avent Anti-colic bottles experienced 60% less fussing at night. 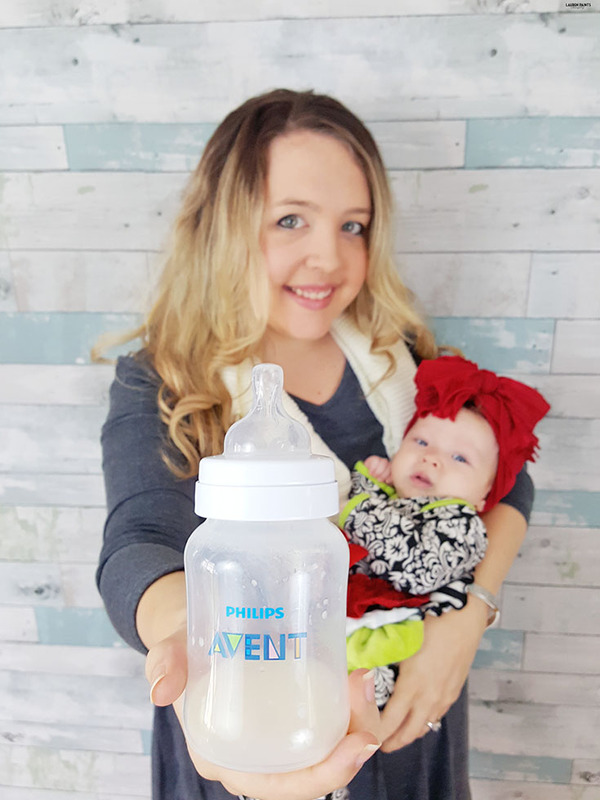 Don't take my word for it though, Philips Avent partnered with actress (and new mama) Sarah Chalke and she's experienced the woes and worries of colic herself and has real life evidence that these Anti-colic bottles help! 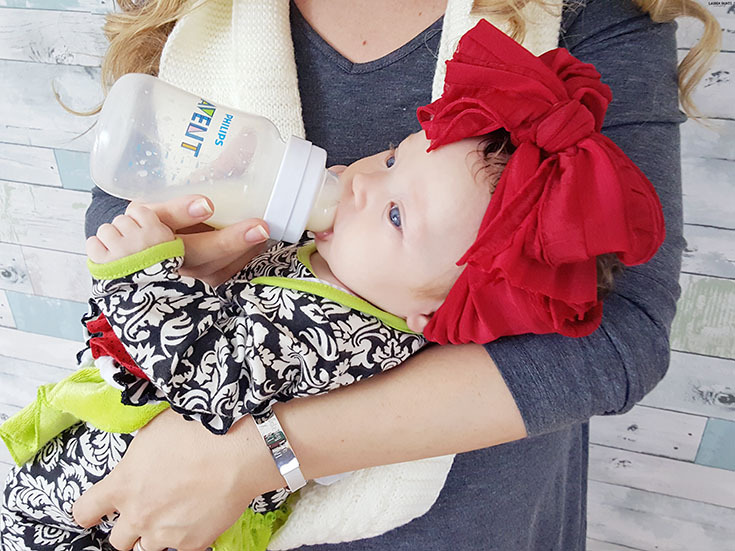 Other than making sure your baby is fed, it's best to make sure their feeding is going to be as comfortable and rewarding as possible and that's why we choose to use our Avent Anti-colic bottle before photoshoots. Want to find out more about Avent? Be sure to follow them on Facebook & Twitter! 2. Dress well - Once everyone has a full belly, it's time to get down to business. Getting dressed can take a while, for myself and my little gal. 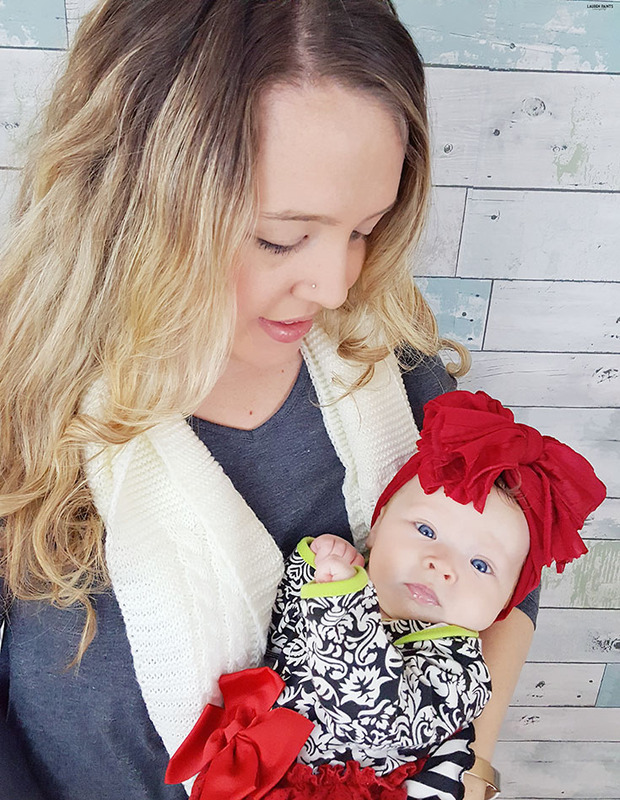 We both have full closets and tons of cute clothing, but making sure we find the right outfits for photoshoots is complicated! Here's the scoop, too much pattern isn't flattering for any photo. That's why for this shoot we decided to let D steal the show with her colorful, patterned Ric Rac and Ruffles romper and my husband and I went with more neutral looks. When it comes time to pick out your outfits, go with a less is more approach. Choose to put your husband in a plain, one-tone shirt over stripes, don't wear a paisley print dress, don't put your daughter in stripes, etc. Keep things cute and timeless with more neutral looks and you'll always love your family portrait. 3. Get silly - After you've dealt with your wardrobe, it's time to get a little silly in front of the camera. Talk to each other about your favorite memories, blow raspberries at your kids, chant "A E I O U" until you're giggling in delight. The sillier you feel, the better your photographs will probably turn out. 4. Light it up - Lighting is pretty much what makes a great photograph, other than the subject of course. Make sure you shoot when the light is the best, most of the time that means waking up at the crack of dawn to catch what photographers refer to as "the golden hour". Luckily there's another golden hour at sunset as well. These are the BEST times to shoot if you are using natural light or shooting outdoors. If you are shooting indoors, find the brightest spot with indirect sun in your house - I promise your photos will turn out the BEST there! 5. Go overboard - People think my husband and I are crazy when we take photos, but in reality we're pretty smart. We take at least a handful of photos each time we're asked to take a photo for a stranger and we're shooting ourselves we've been known to take more than enough. 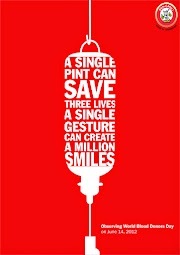 Why take so many, you may ask? This tip helps with the family member that blinks too much, it's the way you can ensure you are able to capture that little baby smirk, and it's easy to accomplish. When you're taking photos, take more than you think is enough, and then a few more. You're guaranteed to have a few great photos in the bunch. That's how we've managed to get such amazing photos lately, so tell me... do you have any tips for taking great family photos? I'd love to hear all about it in the comments below!